Adobe Illustrator & Photoshop // Two-page magazine spread. 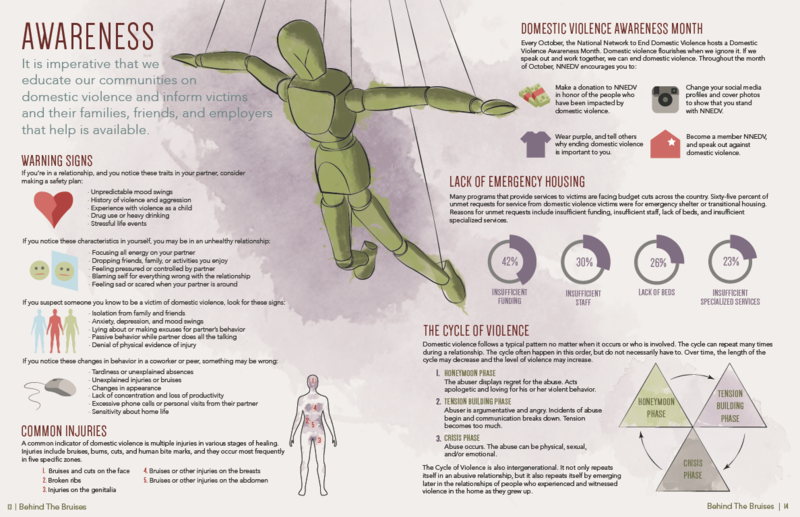 // Created as part of an infopacket to educate victims, abusers, and bystanders about domestic violence. Responsible for research, illustration, and design.